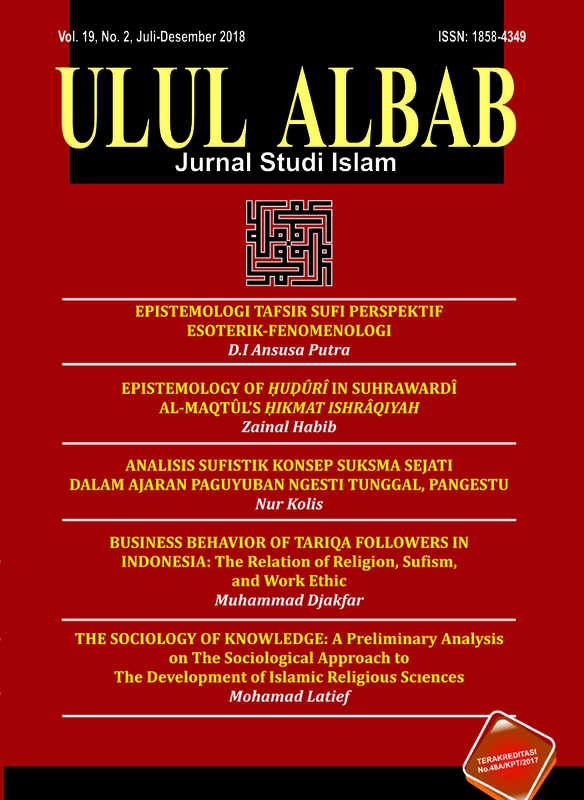 ULUL ALBAB Jurnal Studi Islam (ISSN 1858-4349 and E-ISSN 2442-5249) is the journal published biannually by Universitas Islam Negeri Maulana Malik Ibrahim Malang. The journal puts emphasis on aspects related to Islamic studies, with special reference to Islamic law, Islamic education, Islamic politics, society, Islamic philosophy, Quran and hadith, and theology. Ulul Albab has been accredited (Sinta 2) by The Ministry of Research Tecnology and Higher Education of the Republic of Indonesia (SK Dirjen Penguatan Riset dan Pengembangan Kementerian Riset, Teknologi, dan Pendidikan Tinggi No. 48a/E/KPT/2017). The languages used in this journal are Indonesia, English and Arabic. This journal is an open access journal which means that all content is freely available without charge to the user or his/her institution. Users are allowed to read, download, copy, distribute, print, search, or link to the full texts of the articles, or use them for any other lawful purpose, without asking prior permission from the publisher or the author. This is in accordance with the BOAI definition of open access. Call for Paper Ulul Albab Vol. 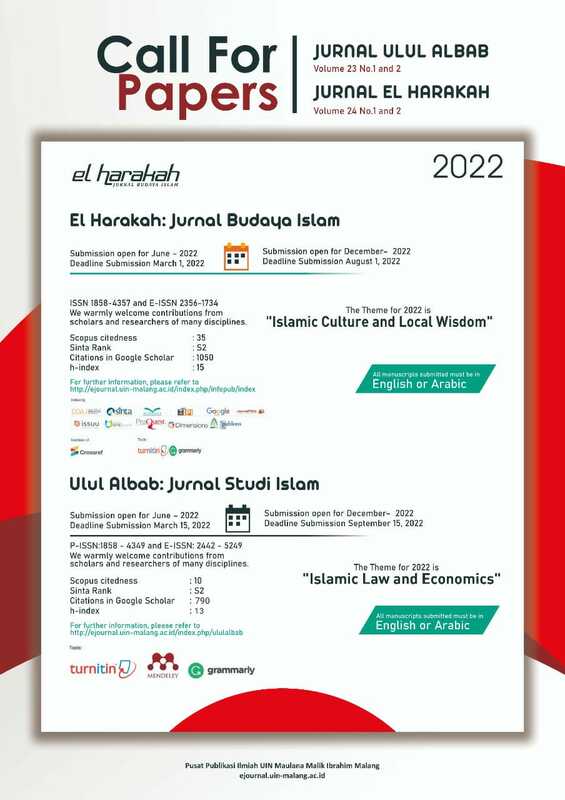 21 Year 2020 "Tafsir and Hadith"